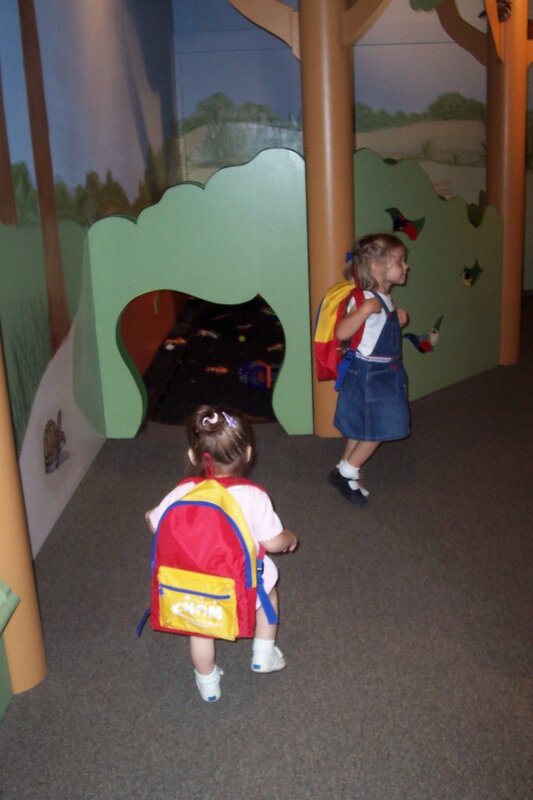 CHILDREN'S HANDS-ON MUSEUM: We've only been there once so far, but we've found a new favorite place to go! 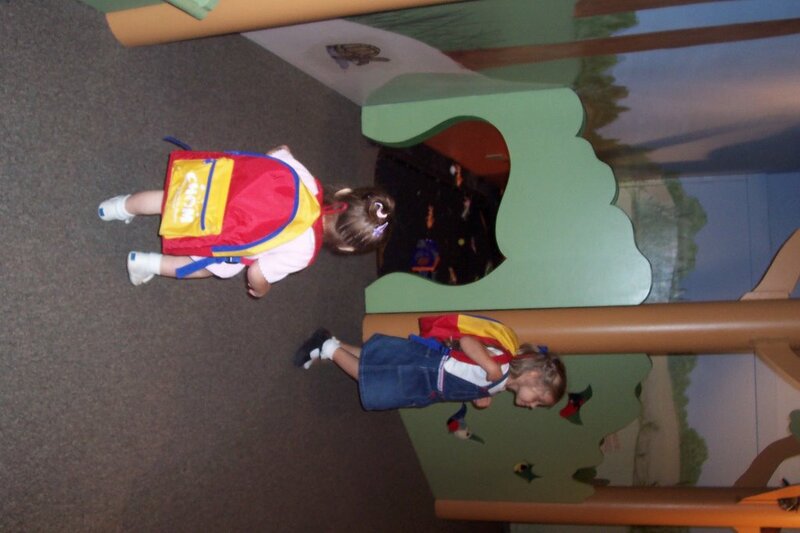 This museum was as much fun for me as it was for the girls. We had a blast. The dress-up play area had amazing costumes in every shape and size (pic. 1)). 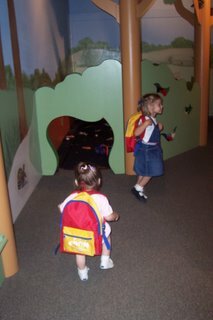 We loved the hiking area, where you learn about habitats and animals and insects and crawl through a beaver's dam (pic. 2). 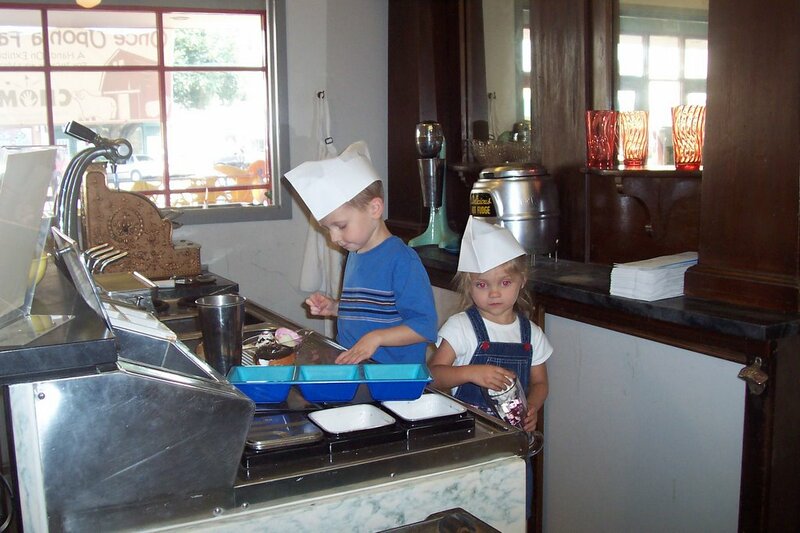 Kayla and her friend Ethan Bender worked busily in an old fashioned soda fountain (pic. 3). 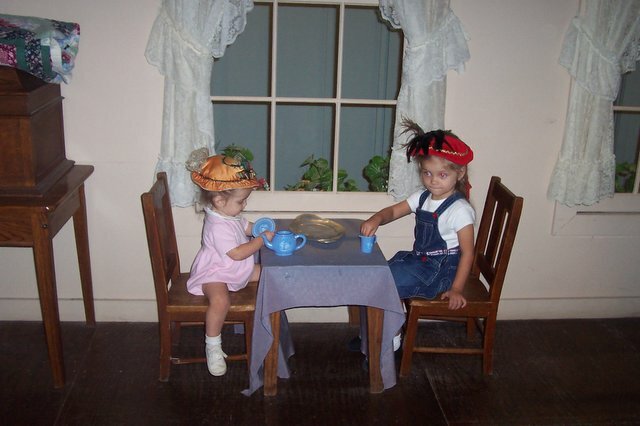 We also spent a lot of time in the little-folks' farm area.